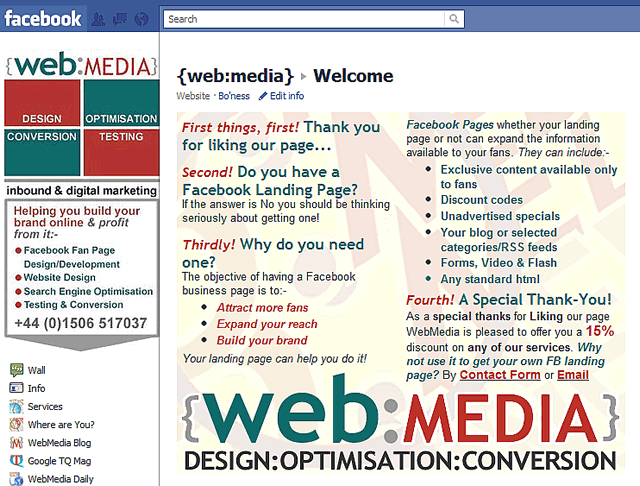 Facebook: What are the benefits of a business landing page? For most Facebook users with a business page the main objective is for business expansion through user/visitor engagement. 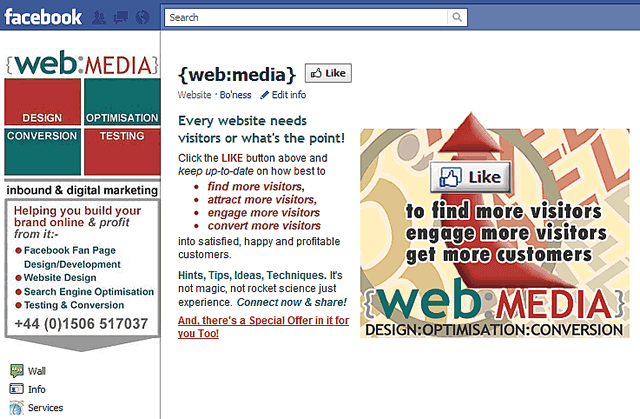 Whenever a visitor lands on your Facebook page they are able to see, browse and also share your posts. However, once they leave some may never return again or visit very rarely. However, if you can motivate them to Like your page it opens up many more opportunities to develop interaction & engagement. Without these opportunities the key objective of future conversion to prospective buyers is going to be considerably reduced. Each time a visitor Likes your page you not only gain a single prospect but as your posts are shown in your Likers news feed all their friends will likewise see your posts and with every clickthrough to your page the process will be repeated, extending and increasing your Page’s visibility. Facebook allows you to direct first-time visitors to any of your page links eg your wall, your info page, discussions, links or, actually, any specific landing page you’ve added specially for that function. By showing non-fans who arrive on your Facebook page the very first time something besides your “wall” you greatly increase the likelihood they will click on the “Like” button. Recent research has shown the increase can often be as much as 25% more than with no landing page. However, there’s an effective way to raise that even more! Using a click & reveal landing page and providing potential customers an incentive to click on the Like button to receive something as reward for their effort can boost that 25% to even higher levels. Just what is a click & reveal landing page? Recent updates to Facebook pages now makes it possible for any html code to be used inside an iframe making it possible to include almost any type of content and to hide some of the information from non fans, or those individuals who haven’t yet clicked on the Like button. As soon as the Like button is clicked, the second page or fan-only page is revealed and can include any additional information, for example a link to receive your giveaway or offer or coupon ecommerce discount code. Perhaps you have a free ebook or other offer you intend to give users who Like your page to demonstrate your thanks but would also like to use it in a similar way as a sqeeze page to collect email or newsletter signups. As an alternative to displaying the registration form on the initial landing page you can hide it from view until the Like button has been clicked. In addition to delivering your free download you can then upsell your newsletter signup. 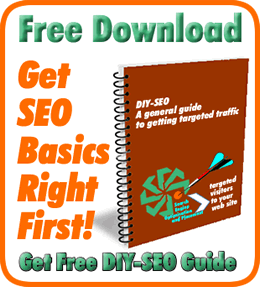 Having just received your free gift many will be happy to take that next step and provide you with their email address. Do you have a business landing page? How are you using it? Are you seeing an increase in Likes? Let us know, comment below. If you don’t have one yet, can see the benefit, but don’t have the expertise or even time to take out to do it yourself, contact us or give us a call on 01506 517037 and you could have a landing page working for you! Great article. I have a business page on Facebook for quite some time now and have been looking for ways to increase conversions. Implementing landing pages as you have suggested seems to be a good way to achieve this with minimal effort. I will give it a try for sure and see what happens.